Looking for an adorable and fun gift for family or friends? 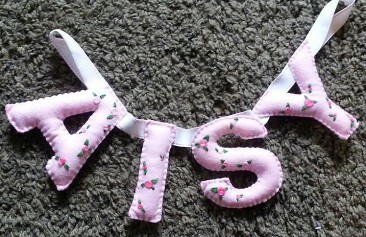 aisydaisy create funky fabric gifts using felt, cotton, ribbons, buttons and beads. From gingerbread houses to key rings; baby bibs to bunting; tooth fairy houses to toadstools; all their items are individually made and the decorative embroidery is all hand sewn. Items can also be tailored to your specifications. We’re delighted to say that Bonnie Crichton and Sarah Baker – that pair of ‘self taught North Queensferry craftisans’, will be joining Inverkeithing Arts Initiative at the Festive Makers Market, Saturday 12th December 2015, 11AM – 4.30PM, Inverkeithing Civic Centre, Queen Street, KY11 1PA.